7th Annual BWR Women of Power National Summit: Time for A Power Shift!!! Ladies, are you ready to take Black women's economic and political power to the next level! Don't wait! Registration is open now, get your tickets early and join us! 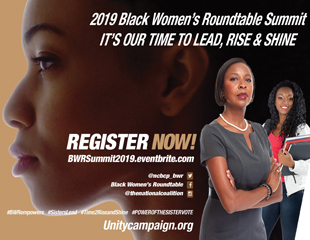 Join us for an empowering, enlightening and fun-filled weekend as we invite YOU to the 7th Annual Black Women's Roundtable Women of Power National Summit (BWR Summit '18) taking place in the nation's capitol on Wednesday, March 14 through Sunday, March 18, 2018! BWR Summit '18 engagement and organizing priorities include:race & gender equity, economic security & prosperity, affordable health care, criminal justice reform, quality public education, living wage jobs and more...... BWR will host special sessions on self-care, stop the hate, BWR goes global and leveraging the power of the sister vote in 2018! BWR comprises a diverse group of Black women civic leaders of international, national, regional and state-based organizations and institutions. Together, the BWR membership represents the issues and concerns of millions of Americans and families who live across the United States and around the world. BWR seeks to bring together women representing diverse views and interests within the Black and community around the theme of women’s advancement with a particular focus on motivating Black women to engage in all levels of civil society. Engagement of women in policy discussions to ensure significant impact of women voters in the political process. 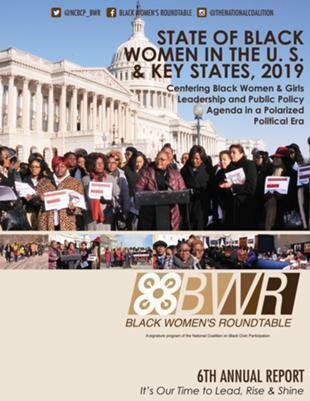 BWR has outlined specific policy priorities to ensure the educational advancement, economic security, health and wellness, education and global empowerment of women, with a special emphasis on Black women and girls. Learn more about these priorities, BWR initiatives and how you can get involved. Click here to view the Black Women's Roundtable Policy Statement.